Want to be notified of new releases in rCarto/tanaka? Also called "relief contours method", "illuminated contour method" or "shaded contour lines method", the Tanaka method1 enhances the representation of topography on a map by using shaded contour lines. The result is a 3D-like map. 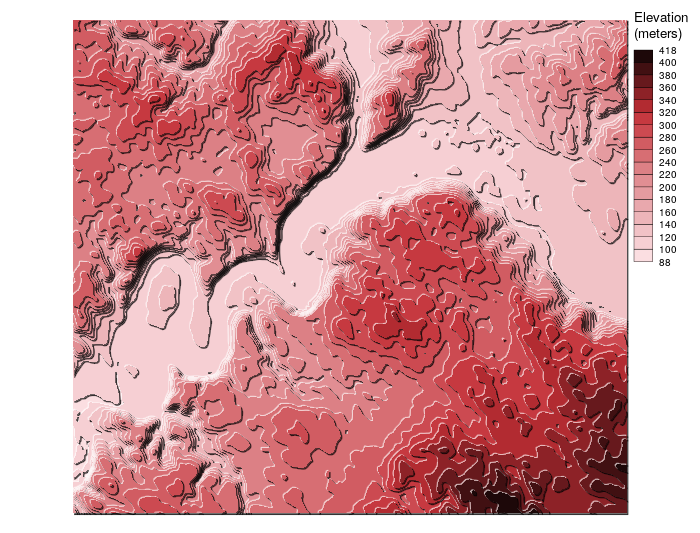 This package is a simplified implementation of the Tanaka method, north-west white contours represent illuminated topography and south-east black contours represent shaded topography. Even if the results are quite satisfactory, a more refined method could be used based on the Kennelly and Kimerling's paper2. 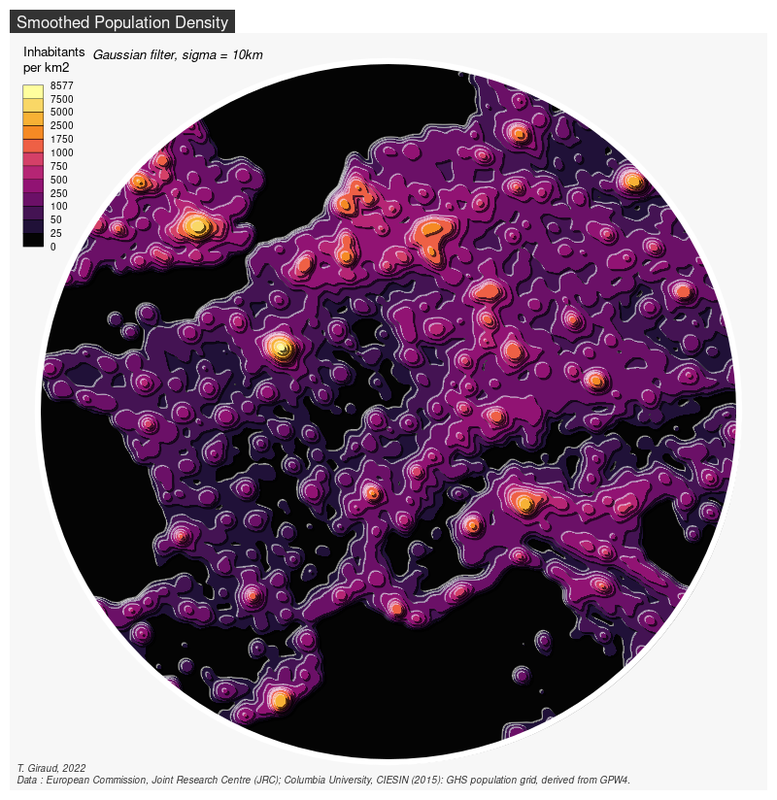 tanaka_contour() builds the isopleth polygon layer. The contour lines creation relies on isoband, spatial manipulation and display rely on sf. This example is based on the dataset shipped within the package. This example is based on an elevation raster downloaded via elevatr. The last example illustrates the use of tanaka with non-topographical data. This map is based on the Global Human Settlement Population Grid (1km). The metR package allows to draw Tanaka contours with ggplot2. 1: Tanaka, K. (1950). The relief contour method of representing topography on maps. Geographical Review, 40(3), 444-456. 2: Kennelly, P., & Kimerling, A. J. (2001). Modifications of Tanaka's illuminated contour method. Cartography and Geographic Information Science, 28(2), 111-123.